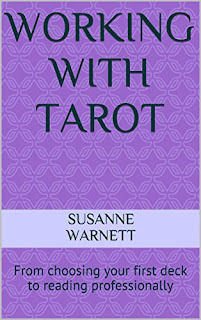 There are a few tarot cards that seem to have permeated pop culture. In the previous post I wrote about the most notorious of them all, the Death card. However as a reader I am aware that there are certain cards that cause concern whenever they come up in a spread; Death is understandably one of them, but also The Devil and The Tower have this air of unease about them. While Death reminds us that everything must end, The Tower card reminds us that some change will come from out of the blue and will often cause great emotional trauma, but like Death that's not the whole story when you study individual cards and decks. As with part one I will demonstrate what I mean using some of the decks in my collection. The Tarot de Marseille has the easily recognised image of a round tower being struck by heavenly flames and people tumbling to their fate, reinforcing the idea that the change is going to be a bolt out of the blue and therefore out of your control, and all you can do is react or be destroyed. The Old English and Deviant Moon decks only vary the way in which the tower is destroyed, with lightning and deviant moonlight being their respective methods of choice. The Tower, from the Tyldwick Tarot by Neil Lovell. The Tyldwick tarot has a picture of the tower of Babel hanging on a wall, the protective glass smashed while the masks of different cultures look on dispassionately. This suggests that if only we had stopped hiding and deceiving ourselves we might have been able to avoid disaster but now we must face the consequences. The Wildwood Tarot again breaks with tradition and in place of The Tower we have Blasted Oak, a combination of The Hanged Man and The Tower cards in a traditional deck. In this we see that while the lightning striking the tree is indeed out of our control, we still chose to be in a position to fall. I find this particular concept fascinating because it does put responsibility back onto the individual to some degree, and begs the question what signs did I miss that put me in this situation? This highlights a significant difference between the Death and Tower cards. With Death you can see the change coming and can therefore prepare and even embrace it, but the presence of The Tower implies you've ignored the warning signs and missed your chance to preempt it and must now face this change blind, making it much worse than it needed to be. How does The Devil play its part? I explore this in part 3. 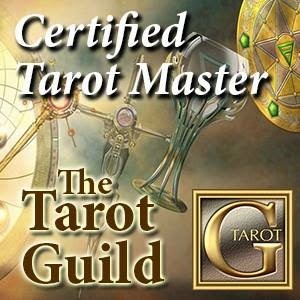 If you are interested in any of the decks here, please note the following are affiliate links, but by purchasing through Witch Hazel's Magick you help to keep this website going, so many thanks.